US Navy 16 OZ Travel Tumbler | BUDK.com - Knives & Swords At The Lowest Prices! 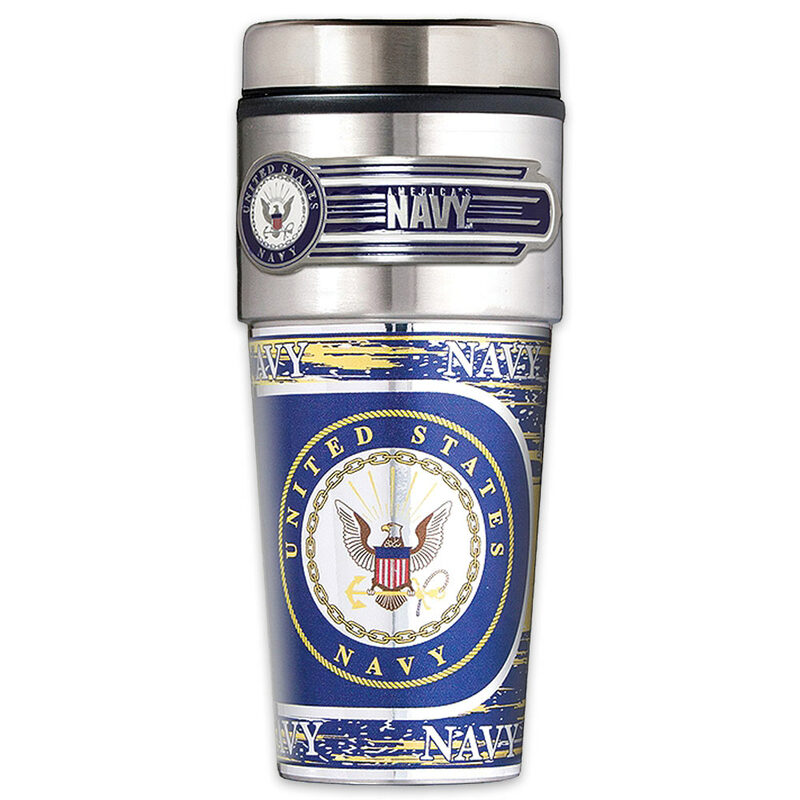 A great gift idea for an enlisted member of the United States Navy or a veteran, The U.S. Navy 16oz Travel Tumbler features a brilliant 360 degree metallic wrap. It has a hand-crafted metal emblem to further enhance its features. The press-on lid is spill-resistant so that you beverages are secure. This tumbler will fit in virtually any vehicle cup holder. It is 7 3/4”x3 1/4”.